Diversity is hot - but now what? 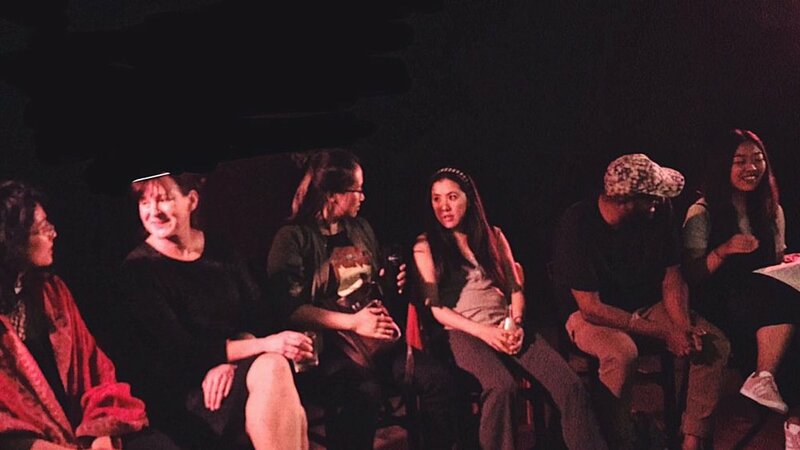 PAT and Basement attempted to answer the question at Basement Theatre at their regular event Unseen: Unsaid. A future focused discussion prompted by Basement’s 10 year anniversary kicked off talking about Asian representation across the industry - how far we've come and what we can do now to move forward. OG Asians and millennial practitioners just hitting their stride chatted with non-Asian people in positions of casting to find out where the blocks are and how we can remove them together. Check out some of Julie’s notes and quotes from the evening to kick off your own discussion! - The current trope in many Asian diaspora storytelling is about our relationship to assimilation, to whiteness. Has that become a trope that we are over now? Or do we need to keep rehashing new and alternative interpretations of it? - It also still centres white people, therefore making them more comfortable or feeling relevant? Privileged assimilated voices, who gets to speak and be represented? - Westernised, educated, middle-class voices with believable NZ accents are promoted above others. - Chinese and East Asian privilege within 'Asian' spaces. - Assimilation and the model minority, we are always striving to not be like ‘them’, we’re Asian but not Asian Asian, distancing ourselves from our more overtly Other parents perhaps, so that we can more easily and confidently and stealthily fit into mainstream white spaces. - CRA described as essentially a white story but happens to be played by Asian people and that that is great. Is that the highest goal we want to strive for? - Who is left out of the diversity conversation? Who does not even have the language to talk about these issues? E.g. older generations not exposed to this type of discourse, those too busy trying to survive to be able to indulge in learning discourse. - Where is the room for criticism of work in our own communities? If there is so little room for success, for representation, must we be grateful and celebrate every small morsel we are thrown? - At the moment the conversation around diversity still centres white people as the sun which we all revolve around. Diversity upholds white supremacy, how do we dismantle that? Can we? - Ghassan Hage talks about diversity being like a multicultural fair where all the stalls of migrant cultures are neatly on display to be consumed by white people, it is there to serve their enrichment. How do we ensure our interactions with other groups who are not our own are not tokenistic? How do we create authentic relationships? - Why are we still fighting to be part of the mainstream, are we upholding white supremacy by constantly asking to be let into the system and structure that continues to oppress us, what does decolonisation mean to you?